There are many options out there when it comes to furnace installation, but the main decision-making comes into play when pitting oil furnaces against natural gas furnaces. Guelzow Heating & Air Conditioning Service of Wisconsin Rapids, WI, is the best heating contractor in the area and services all makes and models, so it ultimately comes down to what is best for your particular needs. 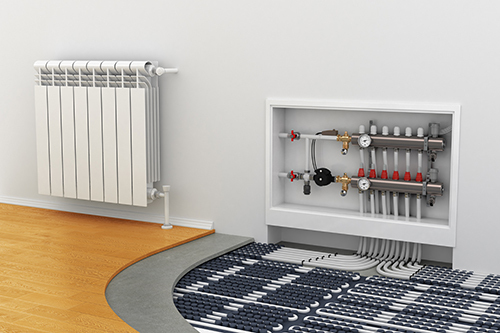 Amount Of Heat Generated: One of the big differences between oil and gas furnaces is the amount of heat generated. Oil furnaces cost less and produce more heat, but fuel prices are higher so they're more expensive to run. Level Of Maintenance: Oil and gas furnaces are serviced fairly easily, but oil furnaces tend to require more extensive maintenance due to dirt and soot buildup. On top of their regular heating contractor services, Guelzow Heating & Air Conditioning offers 24/7 emergency furnace repair should anything serious happen to your unit. Overall Efficiency: If you're aiming for the highest level of efficiency, then gas furnaces are the way to go. Those in colder regions might want to consider oil heating because they provide more heat than other sources and don't burn through their pricey fuel very quickly. Choosing a furnace will ultimately come down to your own budget and priorities. If you find yourself uncertain, you can always contact the expert heating contractors at Guelzow Heating & Air Conditioning Service. Head to their website for more information, and give them a call at (715) 423-1086.